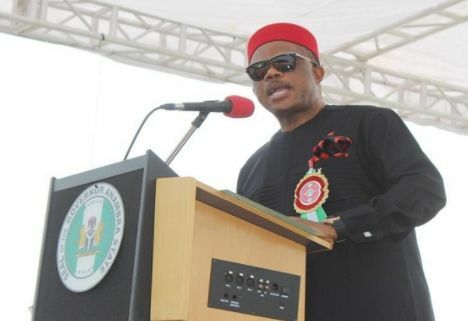 Anambra State governor, Willie Obiano has re-echoed his allegation that his predecessor, Mr Peter Obi demanded the sum of N7.5billion from him for sponsoring his election in 2013. Obiano and Obi have had a frosty relationship shortly after his swearing in. But Obi has denied that he demanded for the sum of N7.5bn from Obiano, saying that his problem with him was his (Obiano’s) underperformance. Obi said if he needed the said sum, he would have simply taken it from the N75b he left for the Obiano administration at the end of his tenure. But Gov Obiano while speaking on Wednesday evening at Ezechima Primary School, Onitsha where he inaugurated his re-election campaigns in Onitsha North Council Area, said the clarification became necessary because of the recent accusations against him by the former Governor. He insisted that Obi had demanded the sum of N7.5b from him as funds spent in prosecuting the election on his behalf, but that he refused to pay the money because it was not true. Obiano said he refused to pay because he strongly believed that public funds should be used for public good, and not to settle "godfathers". These, he claimed, was the reason they fell apart.